The agency was born thanks to a different management idea of a real estate agency. In fact, the agency promise you professionalism and clearness to help the customer in a country house choice, the better choice for his needs, and an assistence during the purchase and after of it. Thanks to a collaboration with a technical studio, the agency has an advanced rendering service to allow “a dive” inside the customer’s dream immediately, besides a safety purchase, thanks to a quality check of country house and many other services that can help the customer to develop and improve his purchase. For each work we do and each project we develop, our aim is to offer a full service, supporting and helping the customer to buy a property. For instance, we make sure that the legal status of the building is verified and guaranteed, providing the historical documentations of the lands around it as well as the historical information about the building or property. We also provide our customers with a formal description of the lands status completed with pictures and reports, an esteem of the perspective use of the building or property. We are also involved in property development, to evaluate the capacity of the structure and its consistence to the local laws. We specialize in business plans to help and support the buyer to finalize the purchase of buildings or properties. The properties we deal with are of different types, for all needs and taste: farm-houses and cottages, for which the law consistence is verified already and they can be delivered immediately. There are old farm-houses to be restored and developed and whenever possible we do some building activities to improve the property, taking into account the places where the buildings are located and the structures themselves. 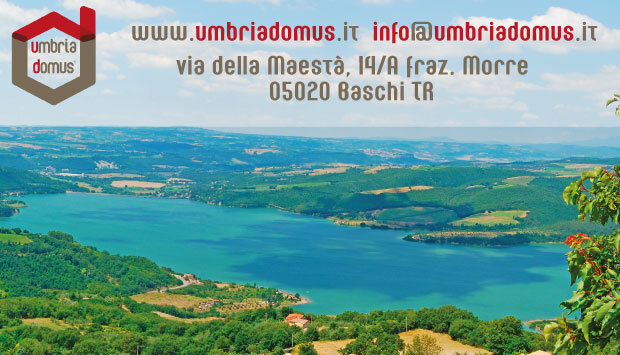 Umbria is a region where the rural tourism is really important and popular. Over the years many of so-called agriturismo have been created, and often run on a family business basis they are very successful. Umbria is very important for its high quality extra-virgin olive oil and DOCG and DOC wines too. We can be of any assistance in order to develop business plan and to research state funds, available especially for rustic places and old properties. For this we assure the full assistance on the whole procedure to obtain the public funds. We want to help the customers who intend to realize agri-tourist companies, country-houses and other activities, giving advise about which buildings and properties are suitable for business purposes, and also to obtain the permission of the local law. We make projects on the building of new properties, which can be modified according to the taste and needs of the costumer. The project is made in order to take advantage of the building capacities, to add value to the position of the land, always in respect of the historical and traditional environment of Umbria and the very architectural style of this beautiful region.